Imagine a way of farming fish with plants that has little to no impact on the environment—no runoff, soil loss, no need to even develop land. That’s aquaponics. And while it seems ideal, there’s a reason why current operations are small, few, and far between. As its name suggests, aquaponics is a a combination of aquaculture and hydroponics. Like with hydroponics, plants are grown with their roots directly in water. But where hydroponics introduces necessary nutrients artificially, aquaponics takes advantage of a symbiotic relationship between aquatic animals, bacteria, and plants. 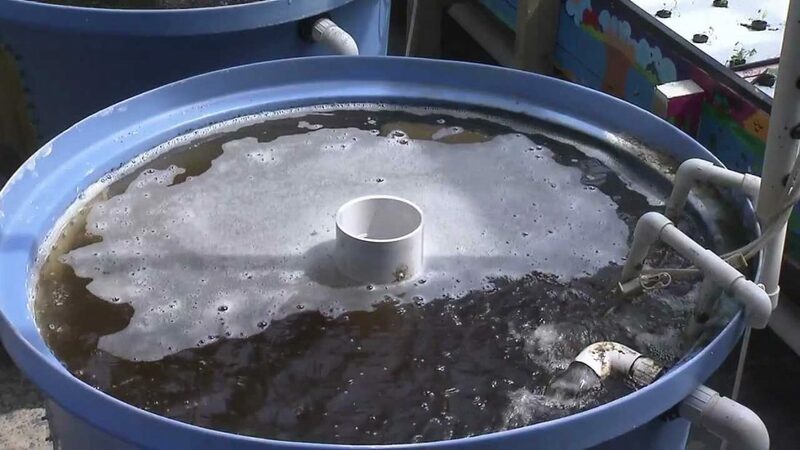 Normally aquaculture tanks need to be filtered to prevent waste byproducts from reaching harmful levels, but with aquaponics, bacteria convert these byproducts into the necessary nutrients for healthy plant growth. The plants are fed, and the water is filtered. But there’s one important problem. 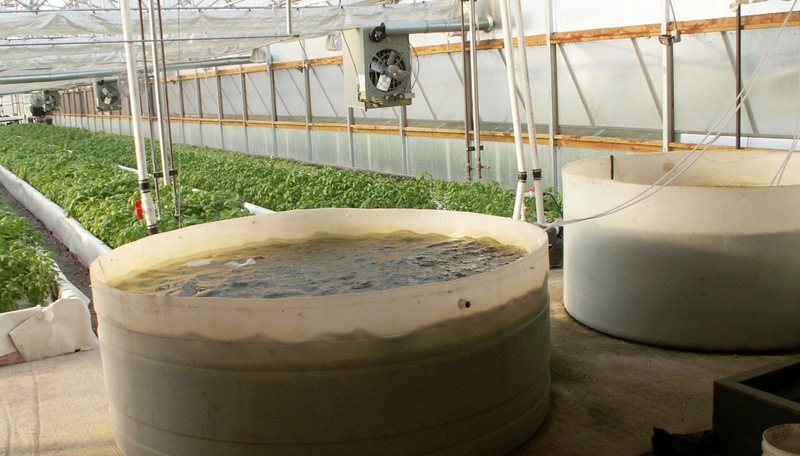 For an aquaponics operation to be successful, it has to turn a profit. Most operations occupy a niche market in urban centers where fresh fish and veggies are either expensive or hard to come by—the Virgin Islands, Tucson, Chicago, and St. Paul to name a few. Tilapia and basil are a typical combination—tilapia because they’re hardy and easy to grow, and basil because of its high value. But as hardy as tilapia is, it’s still a tropical fish, meaning operations in colder climates have to cope with high energy costs to keep water temperatures warm. And while basil may be a high-value plant, the profit margin is still slim. Some operations have sought to circumvent these high energy costs by resorting to yellow perch and lettuce, but to little avail. Operations in warmer climates like the ones in Tuscon and the Virgin Islands tend to see more success than those farther from the equator. Higher average temperatures help maintain stability in systems that are inherently unstable, giving operators more leeway as they try to balance the water chemistry. And its this stability that’s key for an operation to be economically viable. The issue of stability is tricky enough to work out on a small scale. But to be profitable, producers must attempt larger operations, complicating something that was fragile and complex to begin with. That’s the catch-22 of aquaponics. Producers are faced with two options: either have a working system and watch the operation go bankrupt, or go bankrupt figuring out how to make the system work. And until this dilemma is resolved, aquaponics will continue to struggle to break into the mainstream. For more information on aquaponics, contact Kwamena Quagrainie. Interested producers can also learn about practices that can improve the chance of success in this video created in partnership with Purdue Extension.